Tsismax to the max this week! 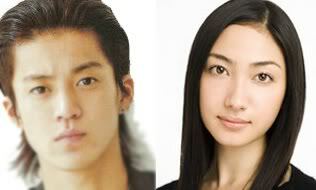 Ikemen Oguri Shun and Meitantei Conan 2 co-star Kashii Yu are rumored to be you know like, together. They were reported to be seen out on a date in October. Kashii was also reported to have spent one night in Oguri’s apartment early this month. waaah ang mga fafah ko T__T mebbe i really need to go back to japan hmm….